Today I bring you the last gift idea for now. This gift is actually the whole reason I started this blog and appeared on my first list (see #8). You see, back in 2006, Hubby and I were driving somewhere for the holidays. 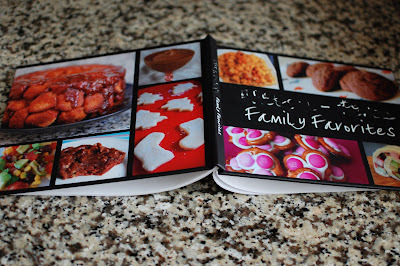 We started brainstorming gift ideas and thought it would be fun to make a cookbook featuring favorite recipes from our two families. At that point we didn’t have enough time to pull it off for 2006. 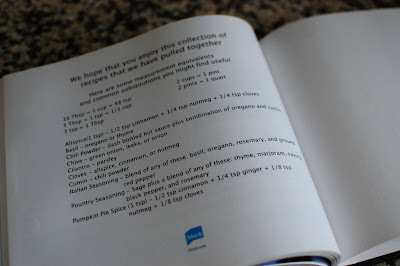 But I started taking pictures and collecting recipes. One of the first food photos I took were that holiday season in 2006. I made deviled eggs and pretzel M&M treats at Hubby’s mom’s house that Christmas. Every year when the holidays started to roll around, we agreed that we were still missing some key family favorite recipes. Back in November of 2009, Hubby and I agreed to just bite the bullet and make all the recipes we were missing instead of waiting yet another year. 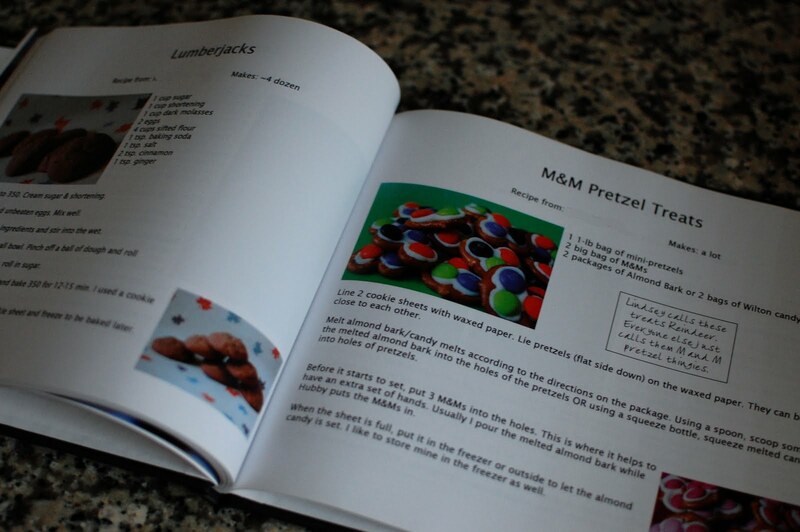 So we busted out the list of recipes we absolutely wanted in the cookbook. We made them all in one week. It was a very random food week in our house, but it was worth it. 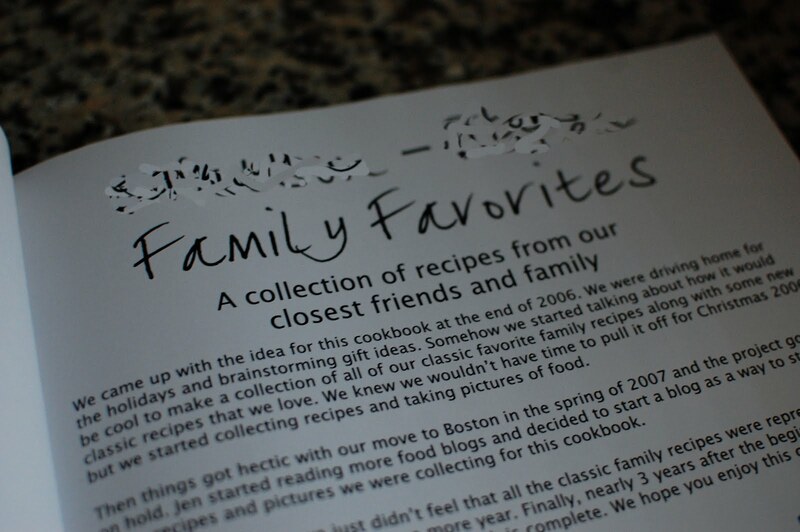 We added some of our favorite recipes from the last few years to the list as well and I set to work designing the book. It was a lot of fun putting the book together. I ended up with an 80-page book from www.blurb.com that included an intro page and a page at the end with some measuring conversions and substitution recommendations in it. 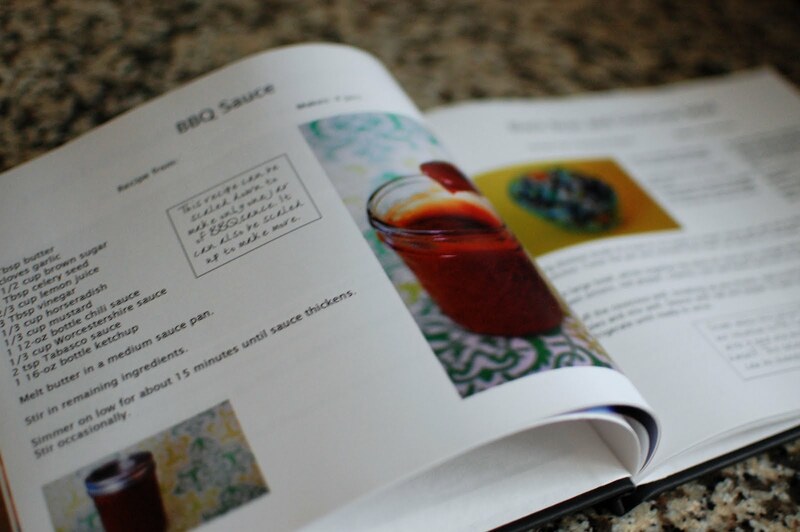 If there was a funny story or memory about the recipe, I included that on the page. I had a blast making this book (and all the food for the pictures!). 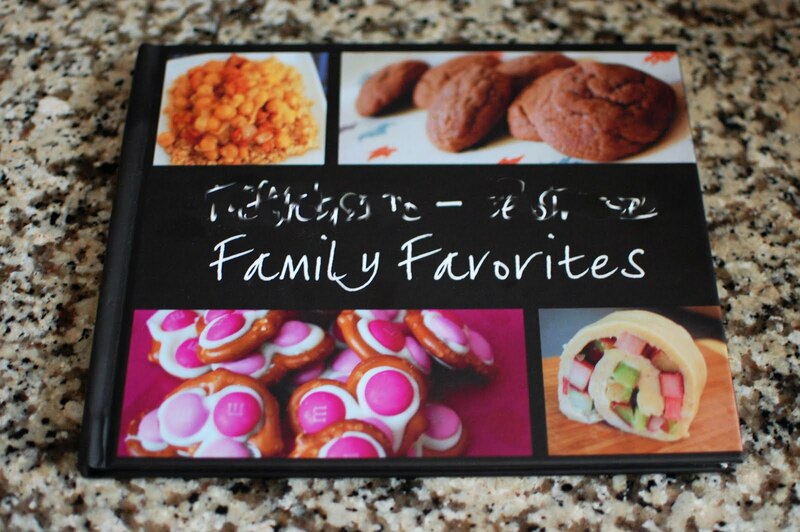 Check out my Family Favorites tag for some recipes that made it into the book! This is such an awesome idea. My mother in law gave my husband all her best recipes. I would love to put them in a book like this! This is a great idea! Thanks for the information about how to put something like this together…it is something I have thought of for a while. I’ve loved your gift ideas this week! Love it! Now I am thinking this would be a great gift idea. I love this idea! I had thought about doing it a few years ago but didn’t really have any recipes because unfortunately, no one in our families really cooks. 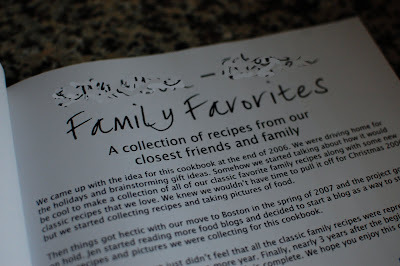 But I have been experimenting enough that I could make one with all of my and hubby’s favorites. Do you have any tips for photographing food? I have been cake decorating for a few months now and have been trying to document with pictures, but they never come out looking like anything special. Thanks! Jen, I LOVE this idea!!! I am totally motivated to now make all of my mom’s amazing cakes and traditional Russian salads, just so I can make a book like that. Brilliant!!! The cookbook looks so professional and cute!! Great job! This is such a wonderful idea! I have a lot of the photos already for my blog so we could totally do this. My goal is to try to make one for our families this Hannukah/Christmas! Awesome idea! I wish my family cooked more often so I would have an excuse to make one of these.